Many people in the lower, middle-class and many more in the poverty zone are not retirement ready. The latest data on Baby Boomers paints a dire picture: many have zero or insufficient amounts of retirement savings. 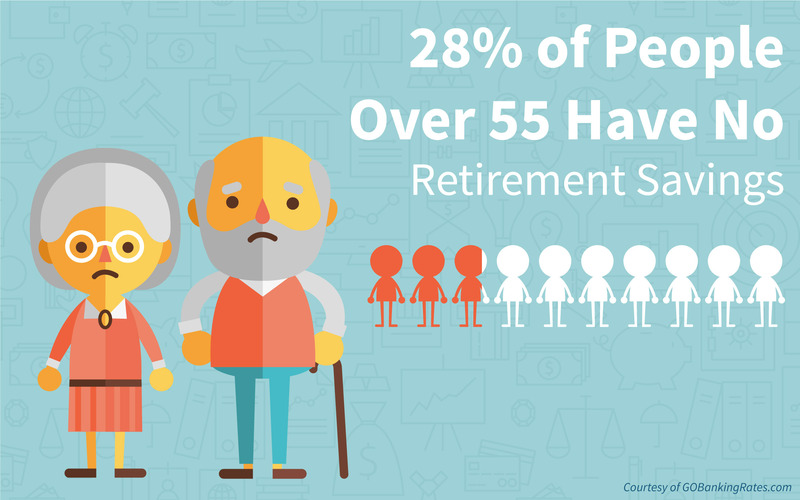 Last year, GoBankingRates.com published a study that showed that 28% of seniors in this country don't have any retirement savings! If you're a generation X'er who has parents that are part of this 28%, you're not feeling happy with your folks right about now. Maybe they're managing to survive on their own still today, but fast approaching running out of money. Or they're living off social security, and barely making ends meet. You may have to spot them a Benjamin here and there so they make it through each month. Not good. Both my parents live off one pension, my dad's. He worked for Santa Clara County and retired with a Public Employee Retirement Savings pension. Provided California doesn't go bankrupt, he should be okay. Still, living in one of the most expensive cities to live in this country, San Jose, doesn't make me (or them) feel financially secure. He stresses all the time about not having enough money to pay for food and the mortgage to his ridiculously over-priced 900-square-foot, 2-bed condo. Selling it is not an option right now, though he'd stand to make a considerable return because of the equity. He supplements the income from his pension by renting a room to my uncle, my mom's brother. It's an all too common scenario for poor folk out there, renting rooms to extended family. I'm already scared by the retirement crisis that could be a part of my own reality in the future. So I save via my teaching pension, two Roth IRAs, and a 403b every month. This helps alleviate some of my anxiety. As one of four siblings, I'm second in line to help my parents in the event of an emergency. My older sister, Claudia, lives in San Jose and is there to help my parents immediately, including financially, should something happen or change. My younger brother and sister are Millennials (big age gap between us), and are struggling to carve out their own place in our society, alike all other Millennials. If my parents and their retirement savings lasting was all I had to worry about, I'd be a happy camper. But I happen to be married, and my wife's parents became my parents as well. Because of a medical emergency, and lack of retirement savings, my father-in-law now lives in my home (Jessica's parents are divorced). I live in a 5-bedroom home so there is plenty of space. We support him financially in many ways. But he's not doing so well. This brings me to an even darker scenario. 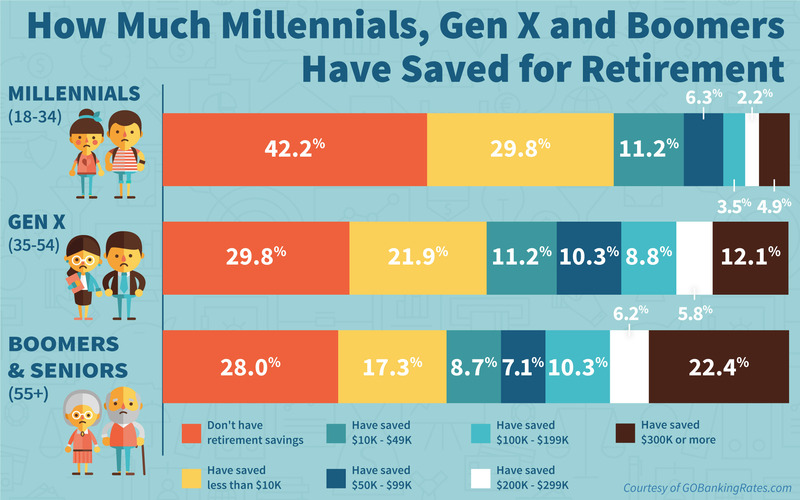 You see, if 28% of Baby Boomers didn't save for retirement, are they saving at least for their FUNERAL? Uh...hello...old people die. Why isn't anyone talking about this? Death is expensive! This article was published this month, and it claims that the average cost of a North American funeral and burial is now between $6K and $10K! If your parents aren't saving for their retirement, what makes you think they're saving for their death? So as the child of a broke parent, chances are you and your siblings (if you're lucky to have any) will be footing the bill for your parent's funeral. And lets compound this situation if you happen to be married to someone whose parents haven't saved for their death either. That means that you could be paying thousands of dollars to bury up to four adults in your own lifetime. Well...crap...get on your parents today! Tell them that their retirement savings plan was an epic fail, and now they should at least not burden you with their death. $50 a month if they're in good health! Can they save this much each month for their respective funerals and burials? I think they can. If they can't save the $50 a month, then it's up to you to do it. Have your siblings save $50 also each month. Unfortunately, your parent's death is going to have to be included in your new monthly budget. Unless your parents are already on it. Otherwise instead of grieving properly, you'll be wondering if you even have enough for a decent headstone. Heck, you may have to cremate them and go against their wishes! If you can't afford it, you can't afford it. Are you going to put the expenses on your credit card and be in debt for years? Very sticky situation isn't it? But we must all monetarily prepare for the death of our parents, just in case they didn't. It's not fun talking to your parents about finances and their demise, but an adult child must if they are responsible. Are you responsible? Thanks for reading! Until next time. If you liked this morbid blog post and want to get more like them, please subscribe.